Herndon, VA homeowners, are you interested in enjoying your landscape with our friends and family this year? Scheduling regular landscape maintenance that will keep your lawn and plantings healthy and beautiful and will bring out the best your lawn and landscape has to offer your Herndon home. Sharing outdoor time with your time with friends is paramount and we are here to guide you to the best services and customer satisfaction in Herndon, Virginia. At O’Grady’s Landscape, our Herndon VA landscape team expertly can handle your needs professionally and efficiently so you won’t have to worry about performing maintenance on your own. Let our trusted company since 1991 serve you! We can provide you with routine service scheduled at intervals that suit your needs and budget or schedule one-time visits as needed, including annual services, like spring mulching and fall aeration and seeding. So if you’re ready to see the difference guided attention can do for your property, give us a call. 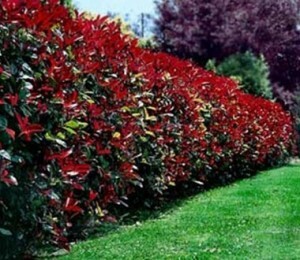 We’ll bring beauty back to your backyard in no time. Contact us today at 703-533-5001 to schedule landscape maintenance in Herndon VA and we’ll get you an estimate within the week! For pristine results, we recommend scheduling the majority of your landscape maintenance services in spring but services can be added to your unique program all year-round. Please be sure to book all seasonal services early to guarantee your needs are met. 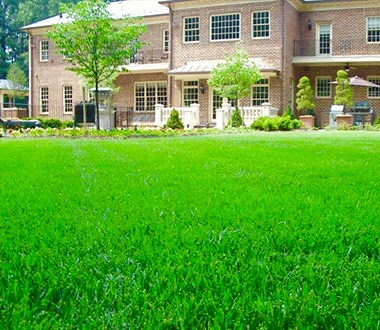 And don’t forget to ask about our Herndon VA lawn maintenance services for the yard. As your one-stop shop for landscape maintenance in Herndon VA, we can help you with all your lawn care needs from professional lawn mowing to weed control, aeration, leaf removal, and more! Whether you’re looking for on-going assistance with seasonal landscape maintenance or need to schedule a one-time visit, O’Grady’s Landscape will work with you to make sure all your needs are met. We will meet with you and give you our honest recommendations and pricing. As your single source for landscaping in the Herndon Virginia area, we’ll provide you with fall and spring mulching visits to keep your planting beds looking optimal year-round and provide all necessary weeding, pruning, and fertilization services you require. Give your landscape the attention it deserves—call O’Grady’s Landscape today at 703-533-5001 to schedule a consultation for landscape maintenance in Herndon VA! O’Grady’s Landscape is a full-service landscape company serving homeowners in Herndon VA since 1991. By offering a wide variety of design, build, and maintenance services, as well as excellent project management, and timely customer support, we serve as a one-stop-shop for all of your landscaping needs.